Olives are one of my favorite foods and I eat them almost every day. 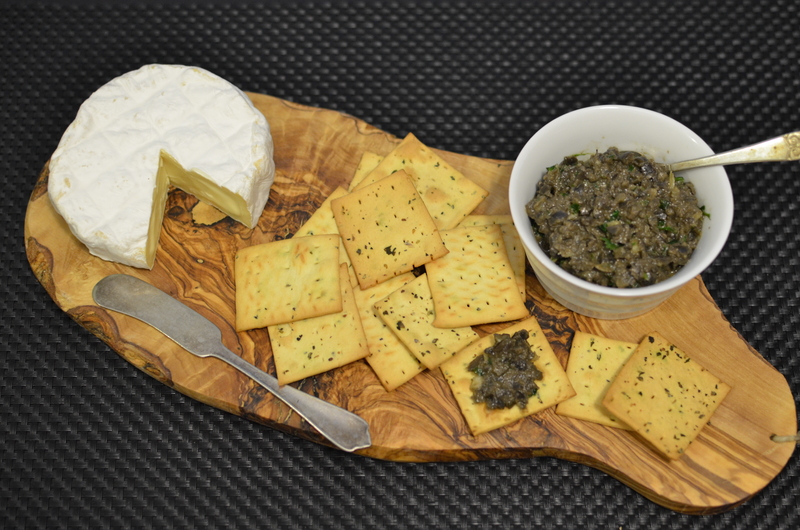 I like to make a platter with a handful of olives, cheese and crackers that I eat for a snack or nibble on while I am cooking. To make olive tapenade all you do is throw a few things into a blender or food processor and it’s ready. Besides the obvious ways to use tapenade, you can easily dress up a sandwich by smearing on a layer of tapenade. Or you can mix a spoon of tapenade in a small bowl of plain vegan mayo and replace that with the plain mayo that you use in your sandwich. 1. Combine the lemon juice, olive oil and garlic in a blender and blend together. 2. Add the rest of the ingredients and blend on low being careful to not over process the olives. 3. Serves with crackers and cheese. You are currently reading Black Olive Tapenade at Coriander Kitchen.